My dad has always been a foodie. Back in the day he was a ladies man too. His cooking adventures started in highschool, cooking elaborate meals for romantic dates. I’m pleased to say his cooking efforts are subject to a higher calling now – helping a working mother feed her family. I am pleased to be an Official Taster to the VH Family Test Kitchen. My father Tony is Head-Chef and my son (Wade, aka Bear) is Taster #2. (My husband agreeably eats what is made.) 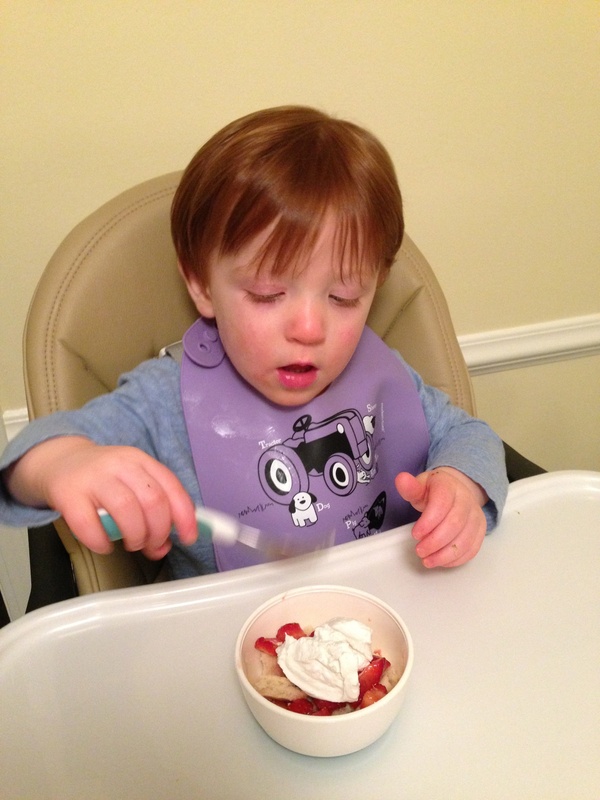 Even at 19 months of age, Wade has an extensive history of Tasting. 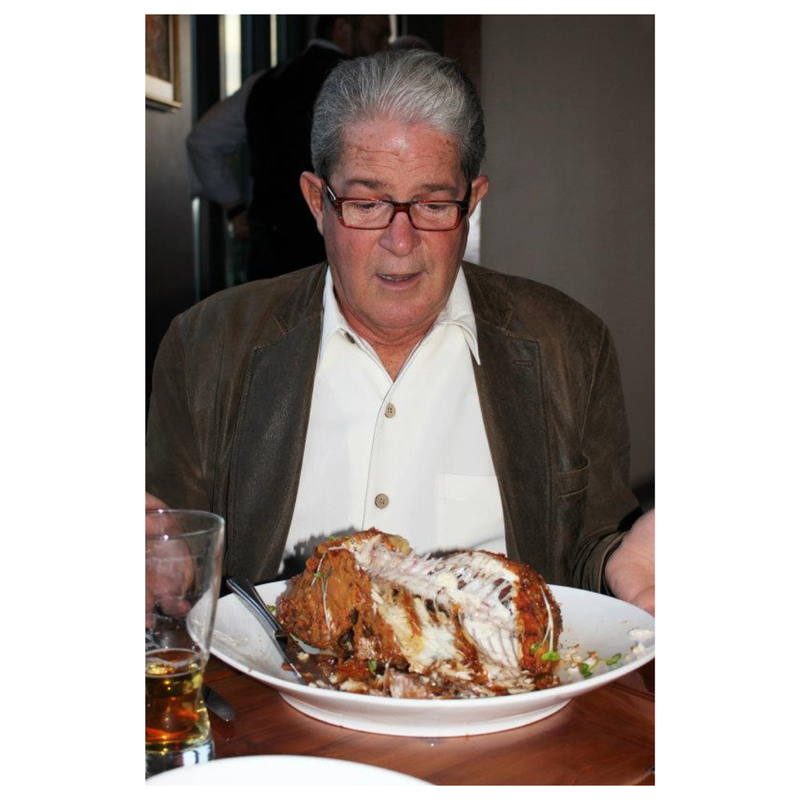 He started at 8 months with a sweet potato – leek – chicken – reduction and has moved on from there. This is one of his most memorable tastings last year when he was 10 months old. 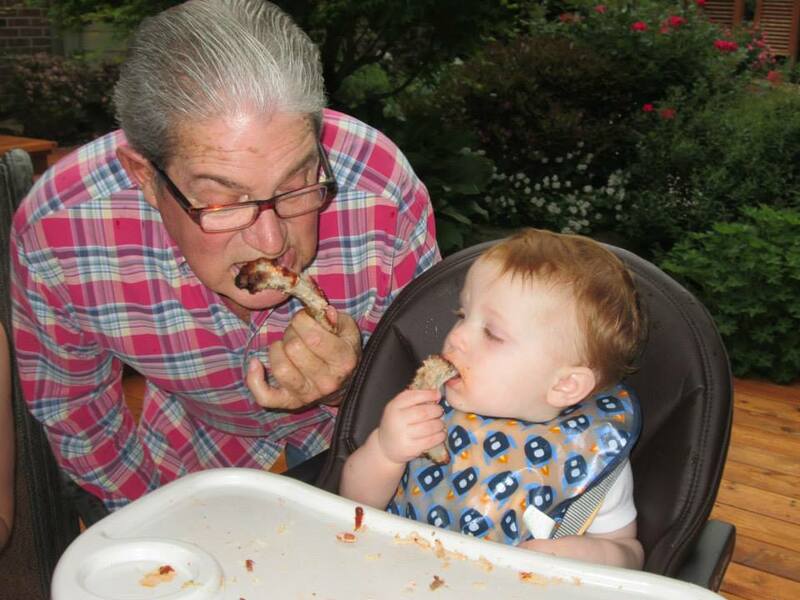 He is sharing a taste with Chef/Grandpa Tony. 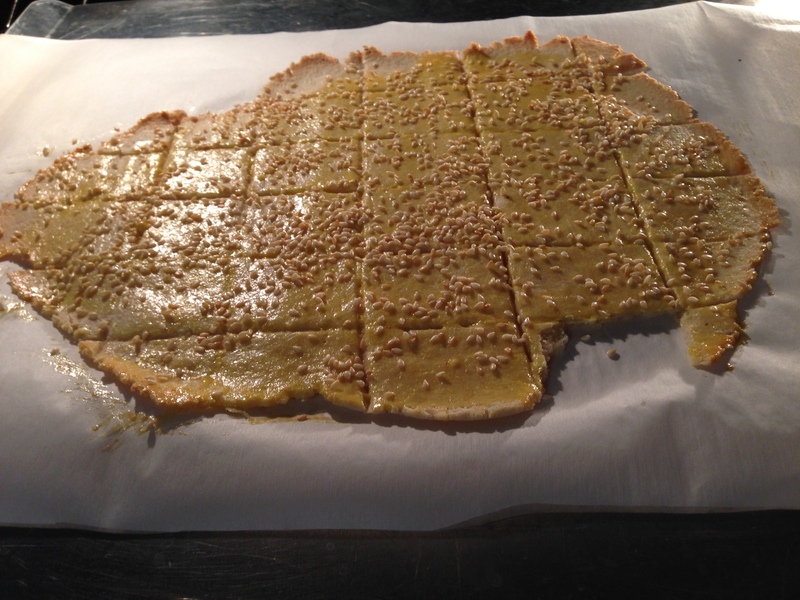 Head-chef Tony was recently tasked with creating the Perfect Paleo Cracker. Although seemingly insurmountable, he was not only agreeable, but eager to begin. 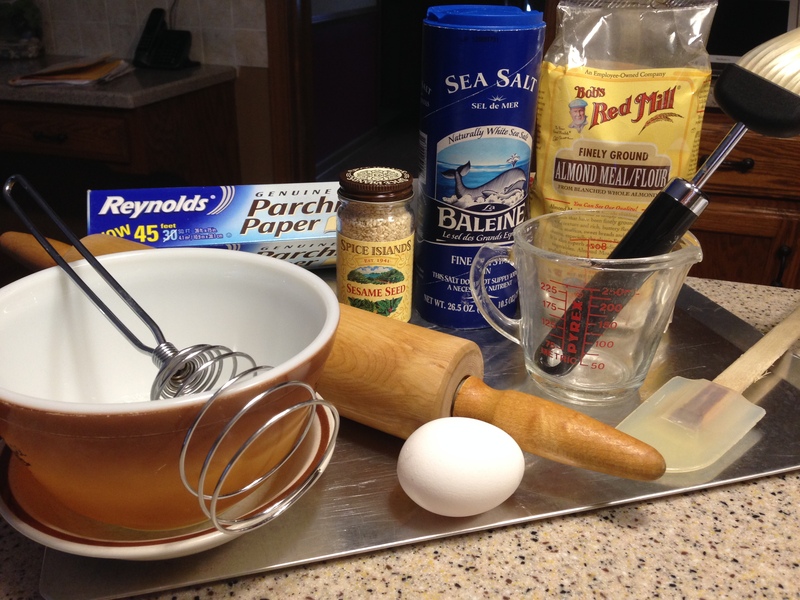 Several recipe variations were carefully tested and rated. Rating criteria included: taste, texture, appearance, ease of preparation and ability to hold up under peanut butter. This recipe is his result. 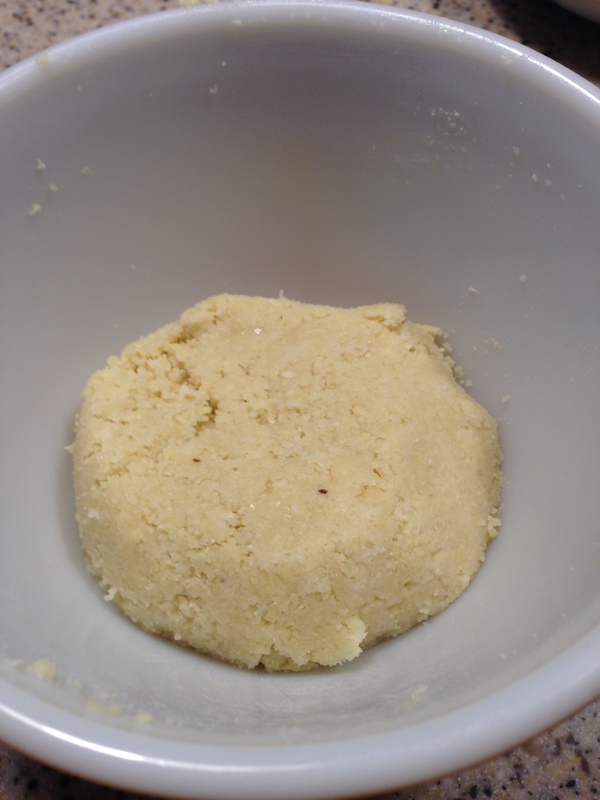 This recipe can be modified (by you) to become sweet or savory, chewy or crunchy. Try it and let us know what you think! Set oven to 325 degrees. Convection ovens will register to 300 degrees. 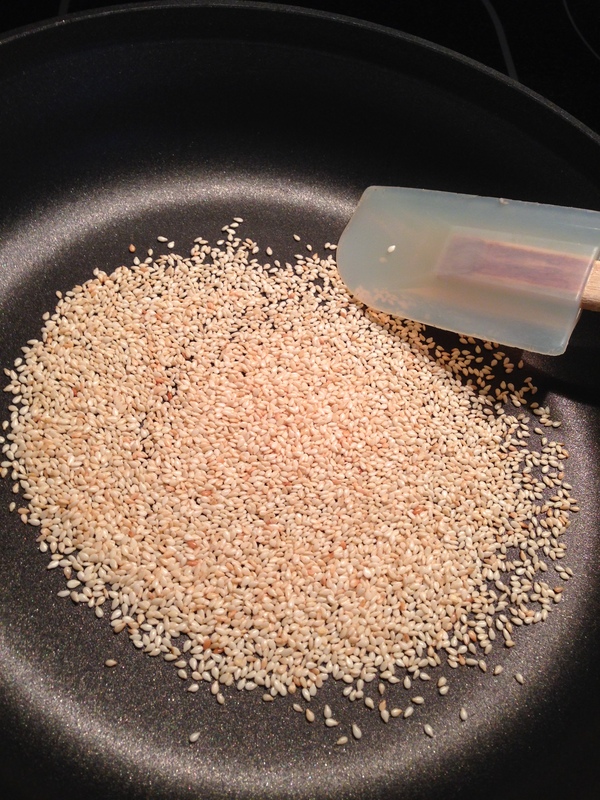 Meanwhile, toast sesame seeds on high heat in non-stick pan for about 1.5 minutes. Make sure you keep them moving in the pan. Note: When you remove the pan from heat the seeds will continue to brown. 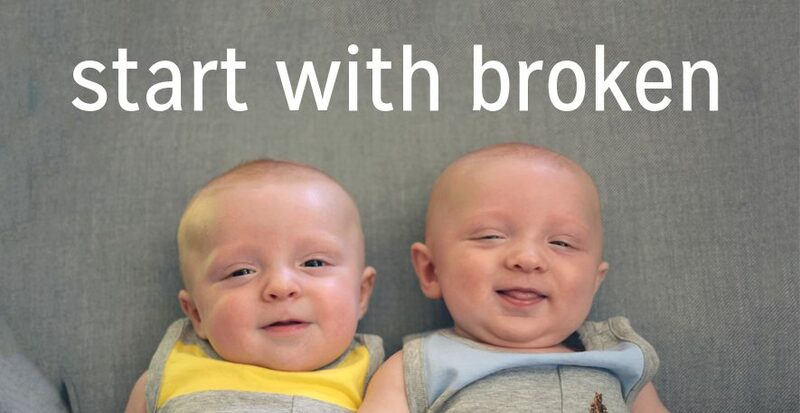 Better to “under” than “over” toast. 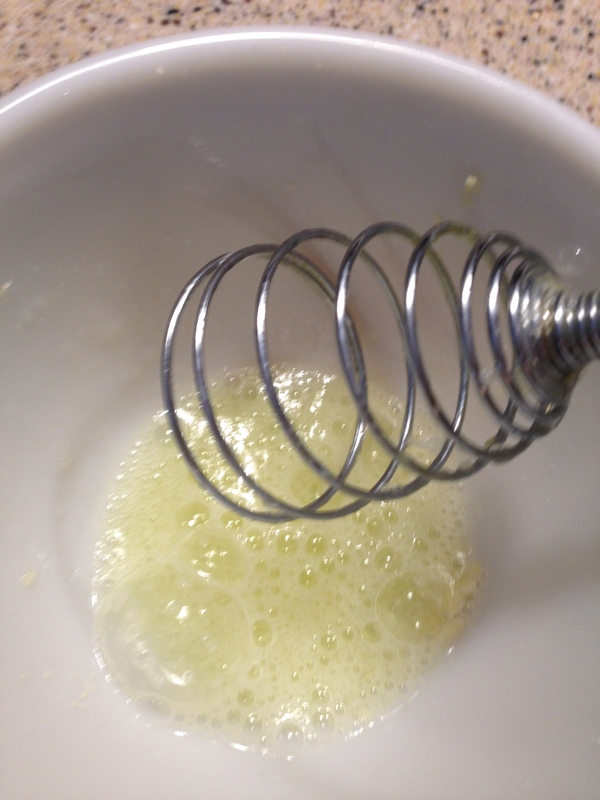 Separate egg white from yolk and beat the white vigorously. 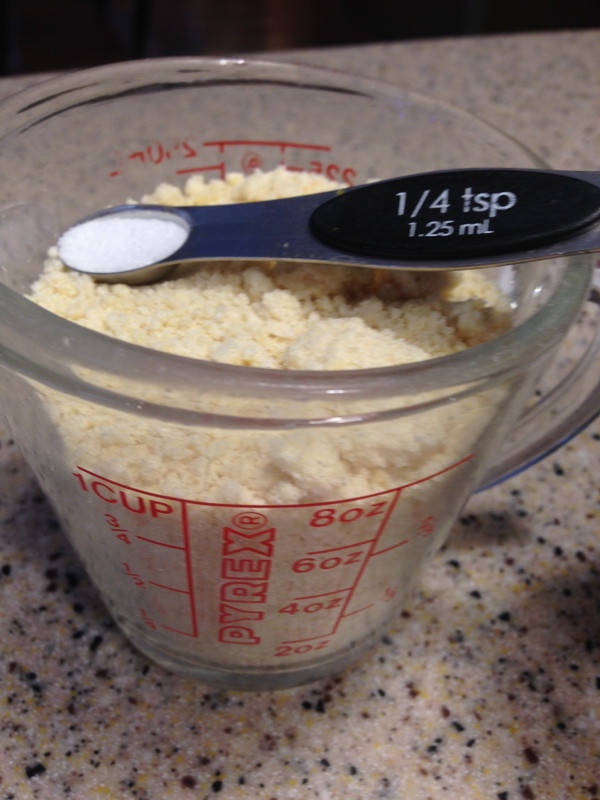 Add salt to the almond flour and stir. Then add egg white and stir till combined. 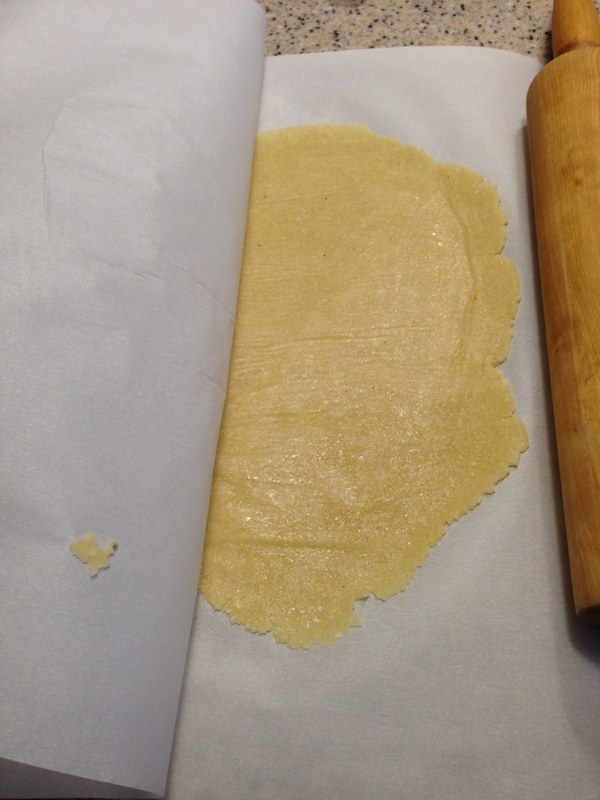 Shape dough for rolling and place on a sheet of parchment. 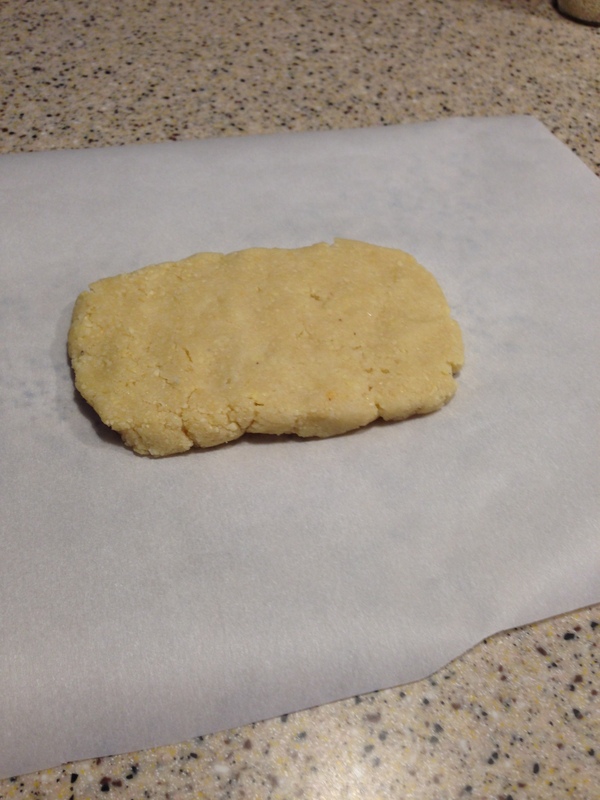 Place a second sheet of parchment on top of the the dough and roll to desired thickness – about 1/8”. 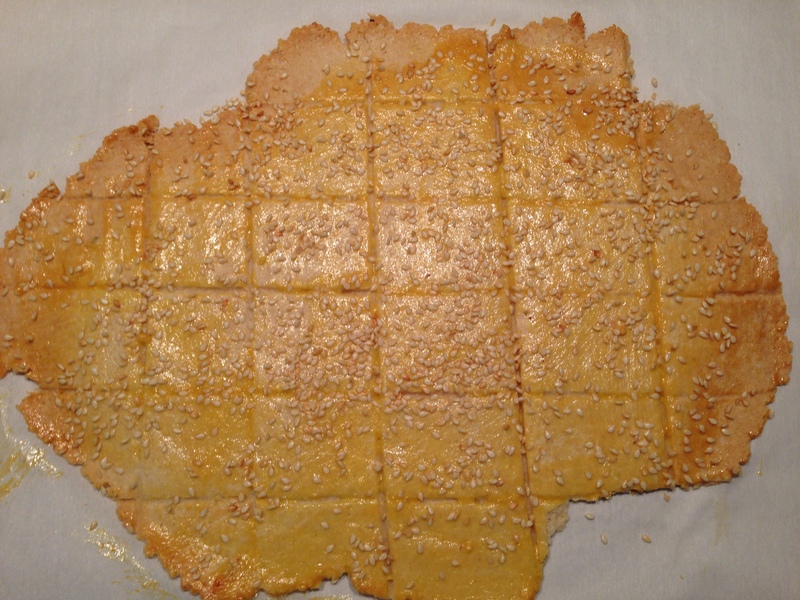 Remove top parchment and score dough with a knife, spatula or pizza cutter to desired cracker shape; sprinkle with toasted sesame seeds. 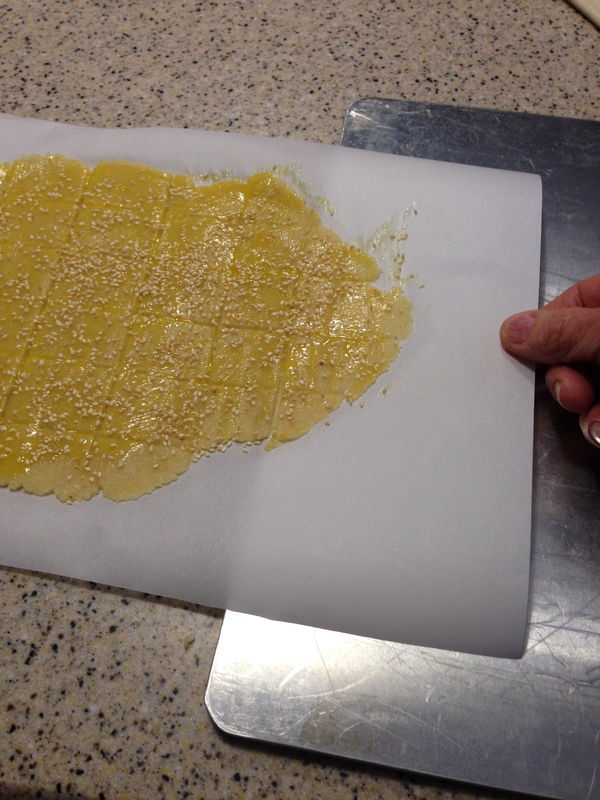 If you enjoy glossy crackers, brush the dough with a little egg white. 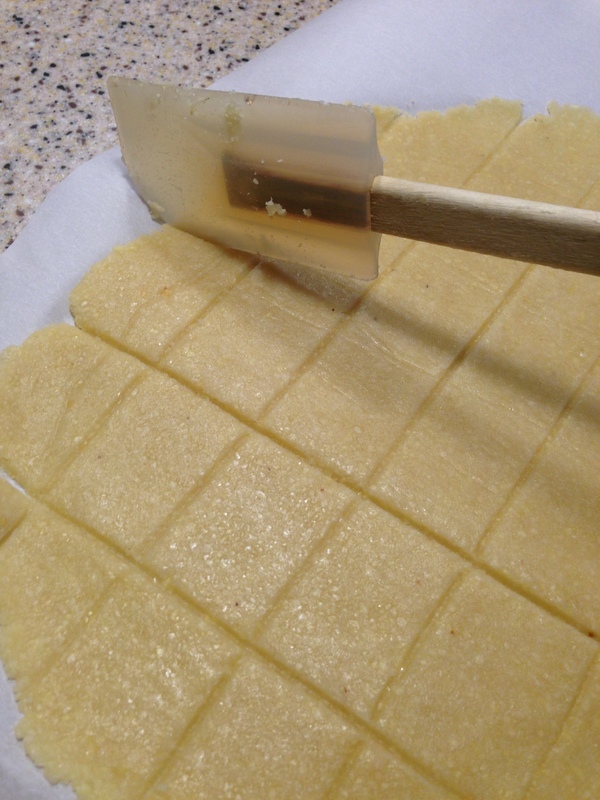 Then slide parchment and scored crackers on to a baking sheet. Bake for 14 minutes rotating the parchment on the baking sheet 180 degrees half-way thru baking. At 14 minutes, test for desired crispness. Depending on how thick you have rolled out the dough, you may need another 4 to 6 minutes of baking. The edges will brown and crisp up first. Watch closely as the dough begins to brown faster at this point. ta-da! paleo toasted cracker goodness! When the desired texture and brownness have reached, let the crackers cool, then separate and enjoy! what’s your favorite way to eat? 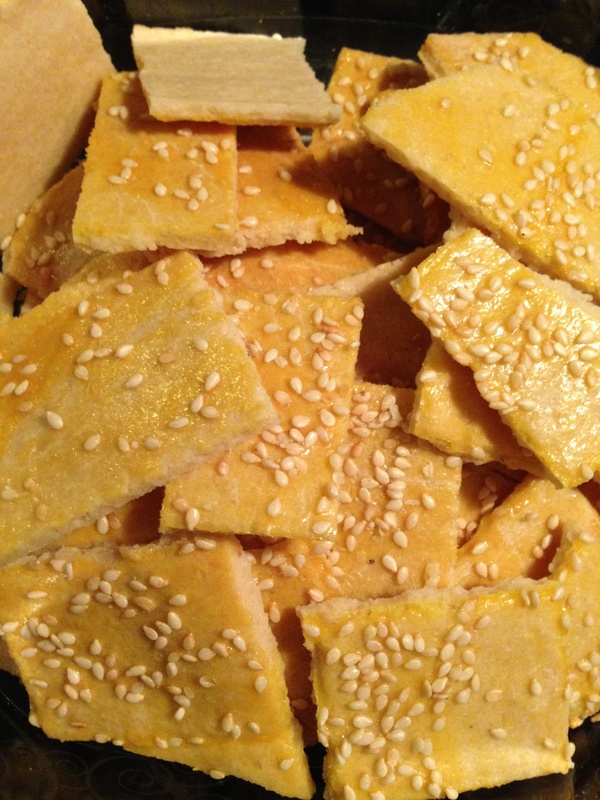 Try experimenting with savory crackers, adding cayenne, chili, sage, or herbs. Or go for a sweet version with cinnamon and a dusting of coconut sugar. just made these and they’re so good! addicting! I have been needing something crunchy and savory and these hit the spot. So glad to hear it ! !